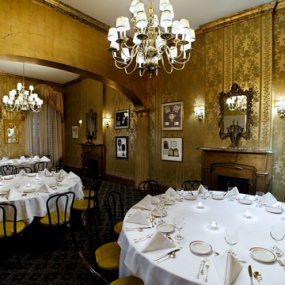 Dating back to 1918, Arnaud’s Restaurant has a long history of dazzling critics and diners alike. 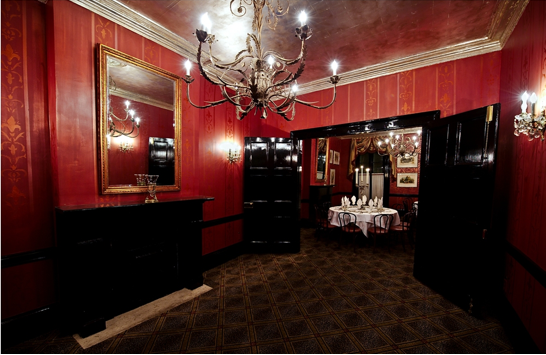 This French Quarter mainstay features the same Creole cuisine and classic service that has been delighting guests for generations. 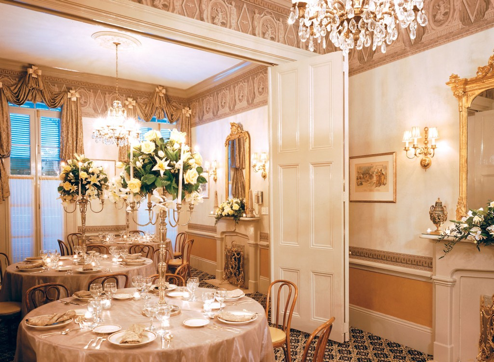 Offering live music in the Jazz Bistro, award-winning cocktails in the French 75 Bar, an impressive Mardi Gras Museum, and an assortment of private fine dining rooms, Arnaud’s is New Orleans dining at its best. 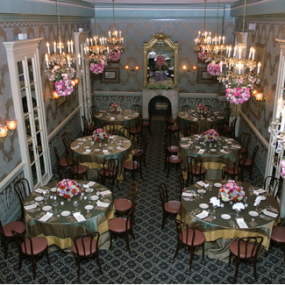 Arnaud’s Restaurant is conveniently located in the French Quarter, just steps from Bourbon Street. 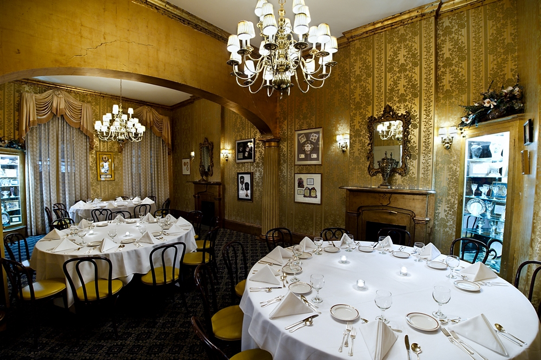 For private events, Arnaud’s offers 14 turn-of-the-century dining rooms that can accommodate gatherings of 12 to 220 guests. 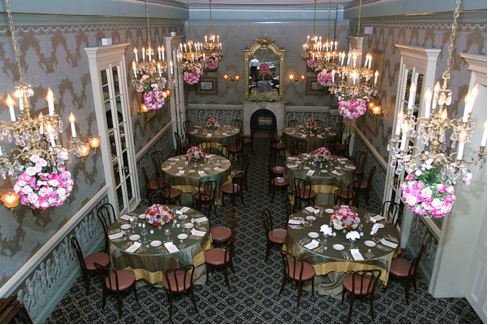 Open for dinner and Sunday brunch, Arnaud’s Restaurant is classic Creole with an emphasis on locally sourced seafood. Signature menu items include shrimp Arnaud and oysters Bienville, both of which are Arnaud’s original creations. Other menu favorites include the trout meuniere, crispy fillet served with meuniere sauce, and the souffled potatoes. Arnaud’s also features a long, well-constructed wine list, along with a premium selection of cigars and liqueurs at its world-famous French 75 Bar. 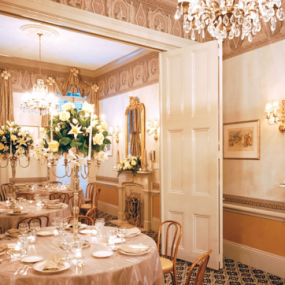 Exquisitely restored to their 19th century grandeur, Arnaud’s private dining rooms feature antique furnishings, crystal chandeliers, muted wall coverings, plush carpeting and rich draperies. 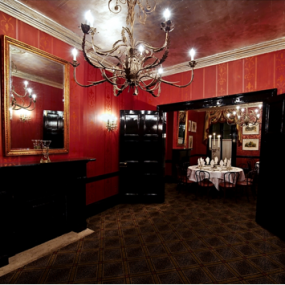 Private dining guests are free to walk through the Germaine Cazenave Wells Mardi Gras Museum, named for the successor and daughter of Count Arnaud. The museum boasts a collection of Carnival court gowns, costumes and other memorabilia made in France, which provide a rare glimpse of the private side of Mardi Gras.